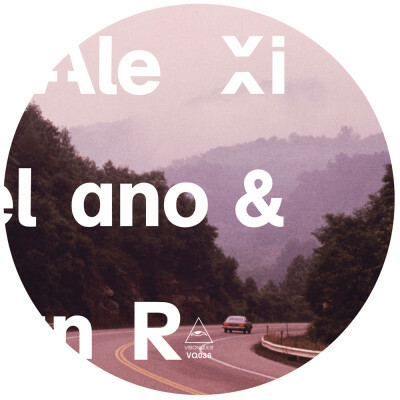 Shaun Reeves, one member of the Visionquest power force, teams up with good friend and industry veteran Alexi Delano for the next release on the label with two solid cuts that are deeply mystifying and hypnotic while packing plenty of groove for the dance floor. Title track ‘The Breeze’captures the senses with warm, dubby synths flowing and rippling throughout, evoking a sense of melancholy enhanced by Charlotte Carter-Allen’s vocals, while ‘The Mistral’ rides with a deep chugging bassline as the mesmerising vocals float and echo through the deep vortex. Over on the B-side, one of Visionquest’s favourite producers, the highly respected Thomas Melchior aka Melchior Productions Ltd is proudly welcomed onto the label to remix ‘The Breeze’, adding his unmistakable groove and distinctive percussive patterns. This is certainly a package not to be missed. Born in Chile, raised in Sweden and later adopted by New York, Alexi Delano now lives in London. Over his two decades in the industry he has developed a style, which combines the heavy compressed Swedish sound with the vibrancy of the creative music scene in Brooklyn. Releasing on established labels such as the historic SVEK, Plus 8, Minus, Drumcode, HProduction and many more. Now in 2013 Alexi Delano is finalizing his 6th album “The Art Of Collaboration” for the Swedish Techno label H-productions as well as relaunching his own record label AD Limited whilst continuing to write original pieces for a string of projects. Hailing from Detroit where he ran parties booking the likes of Magda and Dan Bell, Shaun Reeves has now lived in the techno city Berlin for the past nine years. Playing at all of the top venues and parties in the world on a relentless touring schedule and spending every spare second in the studio, Shaun’s dedication to the job is second to none. Thomas Melchior is well respected as a solo artist and as a duo alongside Baby Ford under the moniker Soul Capsule, releasing on the likes of Perlon, Playhouse, Smallville and a:rpia:r. Earlier this year they rereleased the classic ‘Overcome Ø Lady Science’ with smashing results.